Dalai Lama Quotations Top 10 List. Inspirational Dalai Lama Quotes. 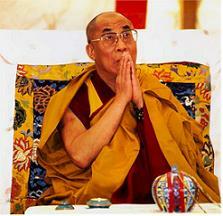 Here is a spectacular list of Dalai Lama Quotations to help inspire, motivate and uplift you. Enjoy these great quotes! Be kind whenever possible...It is always possible. With the realization of one's own potential and self-confidence in one's ability, one can build a better world. I hope you've enjoyed this Top 10 List of Quotes By Dalai Lama.